It can be divided into mobile concrete mixing station and fixed concrete mixing station. Most of the concrete mixing stations produced in construction sites are mobile. The mobile mixing stations mainly assemble mixing equipment on one or several large vehicles. In order to facilitate temporary movement, improve mobility and meet the needs of field projects, most of them are used in some small-scale temporary projects, such as roads, bridges and other small-scale projects. The commercial concrete mixing station produced in fixed area for a long time is fixed concrete mixing station. The equipment structure of the relatively large fixed mixing station, which covers a large area and is not easy to move, is suitable for long-term production. In most cases, direct feeding mixing is used, and it is suitable for large-scale projects such as commercial concrete, bridges and dams. It can be divided into two types:single-order and double-order. Generally speaking, the two-stage production efficiency is relatively low and the production speed is slow, while the single-stage production efficiency is relatively high and the production speed is fast. It can be divided into two types: periodic type and continuous type. 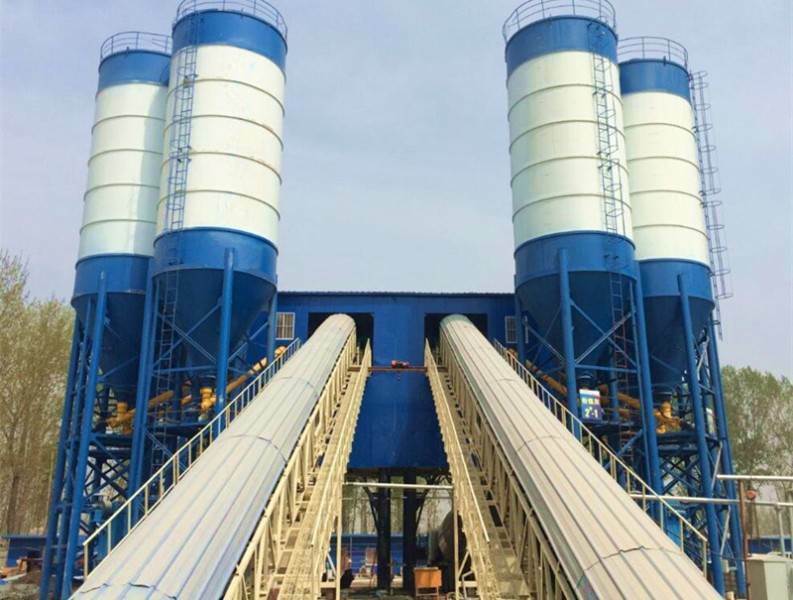 The difference between the two is that the periodic feeding system and the discharging system circulate according to a certain period of production, while the continuous feeding and discharging system proceed continuously.